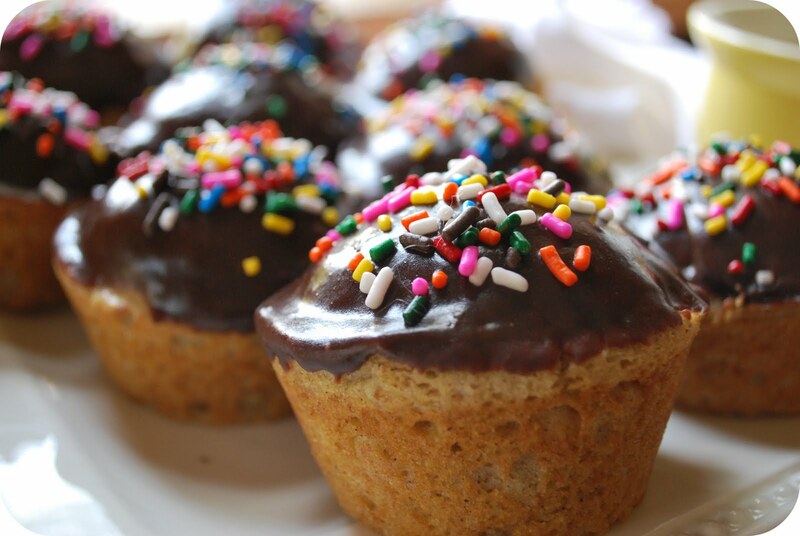 Chez Beeper Bebe: Where Do Doughnut Muffins Fit in the MyPlate Graphic? Where Do Doughnut Muffins Fit in the MyPlate Graphic? Okay, maybe you should not really eat these--but you already want to, don't you? I'm not going to stop you. I'm also not going to tell you that these doughnuts disguised as a muffin do not taste good--because they are so yummy, so chocolate-y, and did I mention, they taste remarkably like a freshly-friend doughnut? 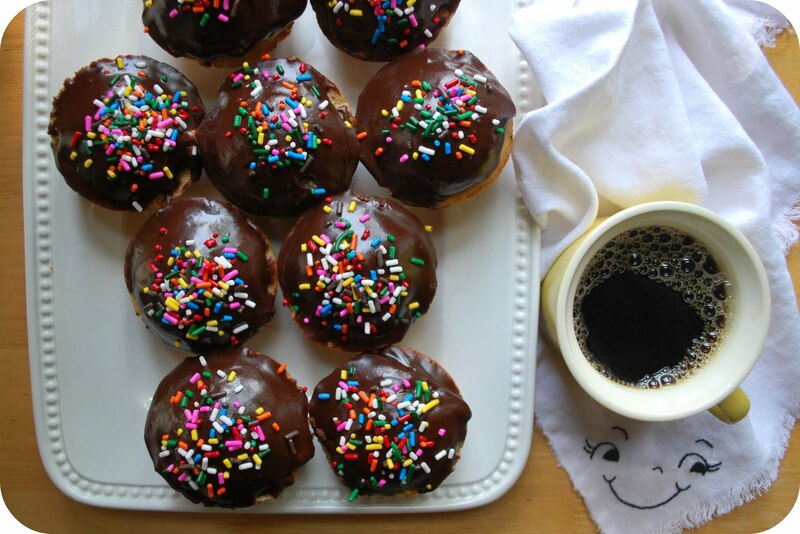 Oh, yeah, except they aren't fried like other naughty little doughnuts out there--these are baked, all snug and happy in a muffin pan. You can thank Joy for the recipe because that is where I got the recipe from. Right here. I have a total love-hate with her blog because I cannot resist making her stuff--like this and my goodness, I so want to make this--but really, I do not think any of these items would fit anywhere on that new MyPlate graphic from the USDA. What do you think? Thank you, I think, for the new food blog. I'll yell at you later. Michele and Kelly-- You're welcome and I am so sorry. Bon appetit! Those do look delicious! The grapefruit that I picked today doesn't stand a chance if I make these!!! O.M.G. - Thanks for introducing me to Joy the baker - wow - the kids have put in a lot of orders for the weekend - first up will be Cinnamon pull apart bread... Just need to find some US to UK weights and measure conversion website!